If you're looking to add some inspiration to your kitchen or front door, then get this In Our Home MatMates Sayings Welcome Mat. This mat would make a great addition to your front porch paired with our unique and innovative outdoor tray. This mat was made to be used indoors or outdoors, so you can also use it in your kitchen paired with our indoor tray. Your mat was manufactured with a dye sublimation process that gives it a beautiful and attractive finish. The top surface is also fade & stain resistant. Display it proudly in the kitchen, bathroom, by the fireplace, front door, or anywhere you wish. This In Our Home doormat is 18" x 30" when used as a stand-alone mat. 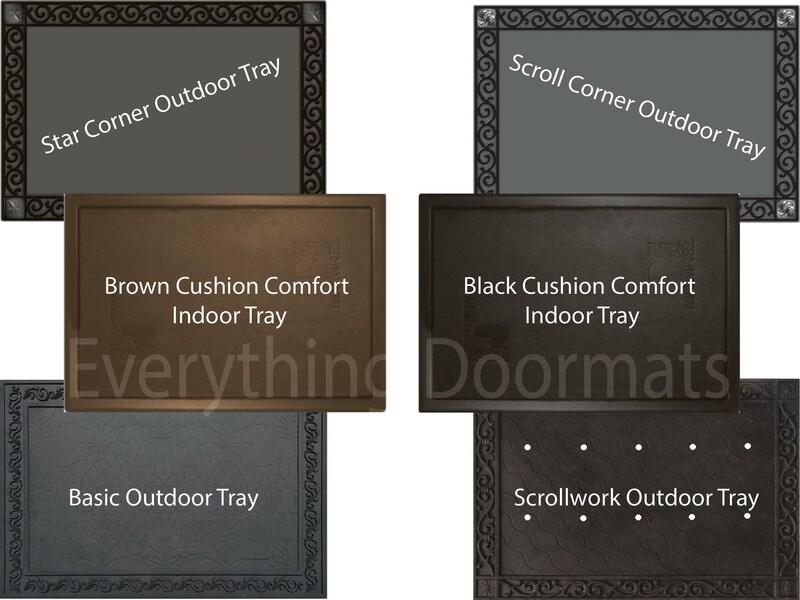 Note: The In Our Home Insert Mat is pictured in our Cushion Comfort IndoorTray. The outdoor trays and cushion comfort trays are sold separately.